Decision, in which Polish cities matches of Football European Championship 2012will be played, will be taken after making reports on the subject of stadiums and the infrastructure by UEFA – said a director of 2012 PL company Marcin Herra. The company is responsible for a coordination of all works connected with the organization of finals of the football European championships in 2012 in Poland. Herra met with regional and self-government authorities of Cracow, Katowice and Chorzów on Wednesday. At the beginning of the April an UEFA delegation will come to Poland in order to judge the state of building works of stadiums on Euro 2012. In May an infrastructure report is supposed to be done. – Admittedly Chorzów is on the alternative list, but we established that all six Polish cities play in one team. UEFA judges not only stadiums but also airports, hotels, the transport, issues of the safety and the medical base. In different towns situation is different. UEFA from one hand pointed at the risk connected with preparing investment and the competitive tendering as well as she pointed at short terms. On the other – positively judged what we did during last weeks, in it that we established one coordinating centre – added Herra. Crucial is to fulfill all UEFA requirements till the year 2010. We know precisely what is necessary to do. How many is supposed to be toilets at the stadium of and the space for TV cameras what distance of the court from stands are supposed to be etc. Also people who carry out investments know about it. We must work, in order, apart from wonderful history, emotions, excellent played matches and organized concerts, to have stadiums which fulfill strict criteria of the federation – the director appealed. 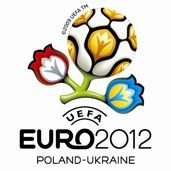 Poland and Ukraine will organize Euro 2012. In Poland Gdańsk, Poznań, Warsaw, Wrocław and Chorzów and Cracow are supposed to be hosts. These two last cities are at present on the so-called alternative list.